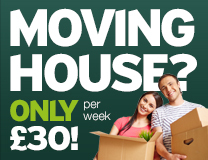 If you need storage space in Corby, Daventry, Kettering, Market Harborough, Newark or Northampton then we can help. Our unique model works on combining the latest technology to ID check and book all our customers in online with remote controlled access and monitoring equipment. This means that rather than having a full time member of staff at each site we are able to run them all from our central head office. This not only allows us to be more efficient – savings which we can pass on to our customers but also offer greater flexibility in our opening hours than many of our competitors. 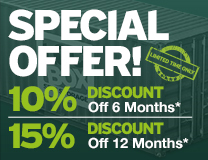 In total Loc-Box offers over 125,000sqft of self storage space in modified shipping containers. All our Loc-Boxes are built to our own spec and are brand new when they arrive on at our sites. Once they arrive they are all placed at ground level to ensure that our customers can drive right up to the door for easy loading and unloading. To see what our customers think have a look at their reviews. 2003 – First site opens at Creaton, Northamptonshire as a Farm Diversification Project focussing on document archiving and traded under the name Archive Attic. 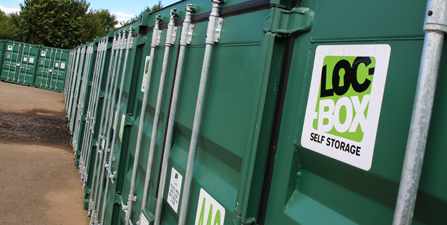 2010 – The business rebrands to Loc-Box Self Storage reflecting its move into the general self storage market. 2012 – Loc-Box opens its second site on the Earlstrees Industrial Estate in Corby. First site to be run remotely. 2014 – Third site opens in Moulton Park, Northampton. 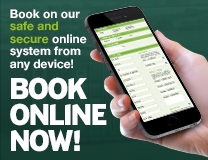 2015 – Becomes the first self storage company in the UK to offer a fully automated online booking process for customers. Fourth site opens in Kettering. 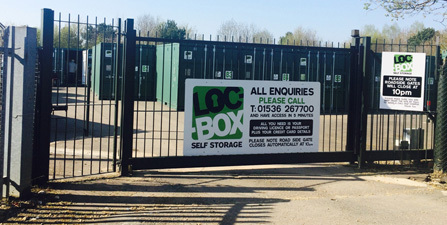 2016 – Loc-Box Market Harborough opened. 2017 – Loc-Box Daventry opened. 2019 – Loc-Box Newark opened. 2019/2020 – More sites wanted. We know how important security is to all our customers. Each individual Loc-Box is a solid steel box similar to a giant walk in safe. We provide all our customers with a high quality padlock which fits under a protective shroud for additional security. There is also room for our customer to attach their own padlock for additional piece of mind. All our sites are covered by remote monitored, infrared CCTV and security lighting. They are all security fenced with all movements on and off site logged (with the exception of Creaton where we have an employee living on site). As we ID check all our customer we know who is on site at all times. It is this security which allows to offer great value insurance to all our customers.